Pintastic Pinning Party | A Savings WOW! Welcome to the Weekly Pintastic Pinning Party!! We are one of the co-hosts of Blogging Mom of 4’s Pintastic Pinning Party this week. Each week she hosts a Pinning Party for you to link up your favorite pins, find new pins to re-pin and to find some new pinners to follow. Sounds like a Pintastic Good Time right?! So Find some Pinspiration This Week!! 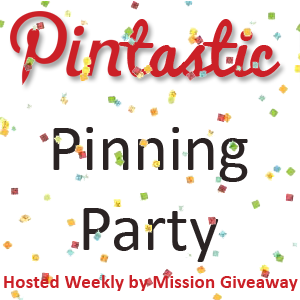 Each week the Pintastic Pinning Party will start on Sunday evening. You may link up on Blogging Mom of 4 or any of the weekly hosts. Each week she will be changing hosts to give you all fresh new Pintastic Pinning content for your viewing pleasure! Slow Cooker Hawaiian BBQ Chicken Recipe from Family, Love and Other Stuff. Link up below and you may be the featured Pin of the week! Hop around and visit some of the pins of others who have linked up. We’re sure you’ll find lots of great Pintastic Pins. Follow others who have linked up. Comment below with your Pinterest user name if you would like a follow back from the Blog Owner. Share our Pintastic Pinning Party…wouldn’t be much of a party without friends! Come back throughout the week and visit often. You may be featured in next week’s Pinning Party! That’s it! Add a link or a few below if you have them or just browse and click! Have a Pintastic Good Time! !